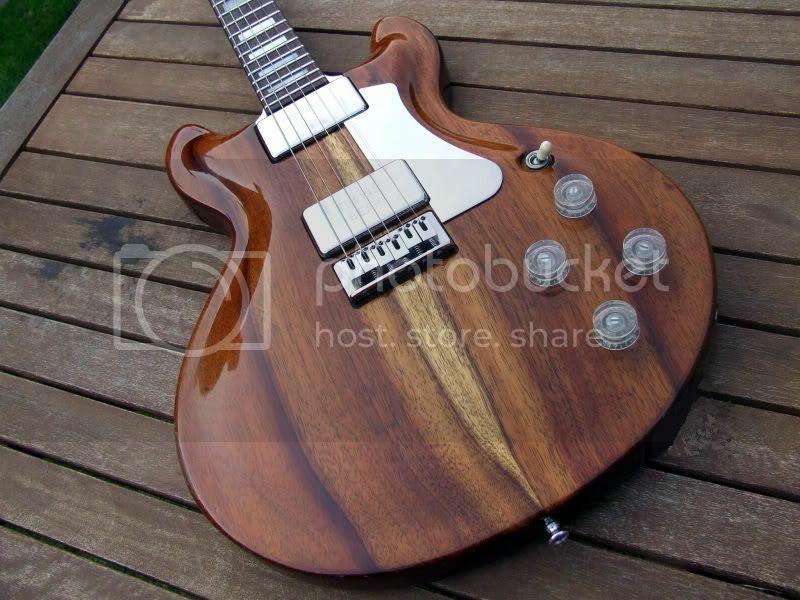 That is a nice looking guitar! how much do those run? Electrical Customs, the last time I looked into them, were running around $1700 - $2000. You'll definitely want to check with Kevin on pricing. I would order through him. I paid mine $1575 (including the flight case and the shipping to France). Try to deal with Kevin directly, he is very serious, but be patient because he is a little overwhelmed by the number of orders. THIS IS GOOD ! 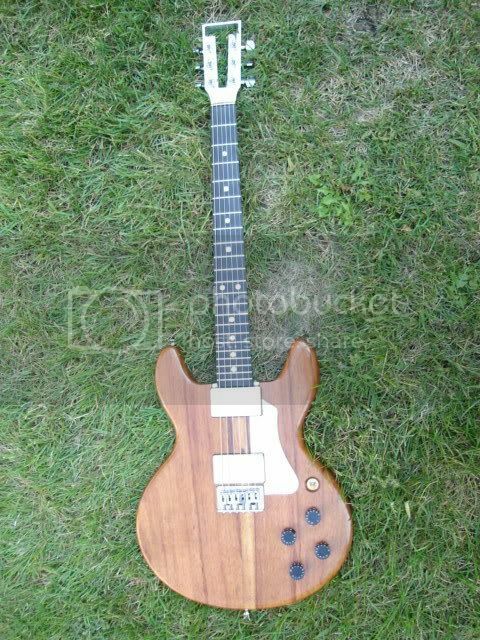 This is my TB clone built by Greg bailey. The body is from an original Bean, Greg fabricated everything else. I love this thing! Please take a look at this one. 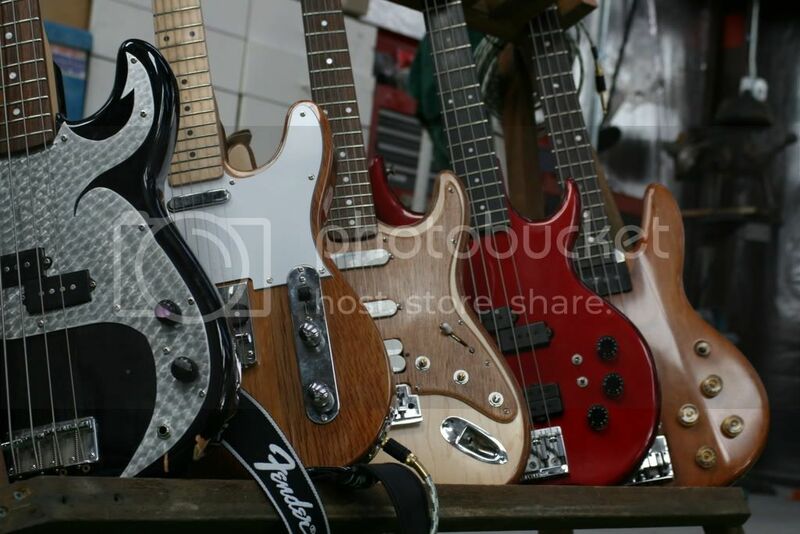 Do you only produce one offs, or do you support a line of guitars? 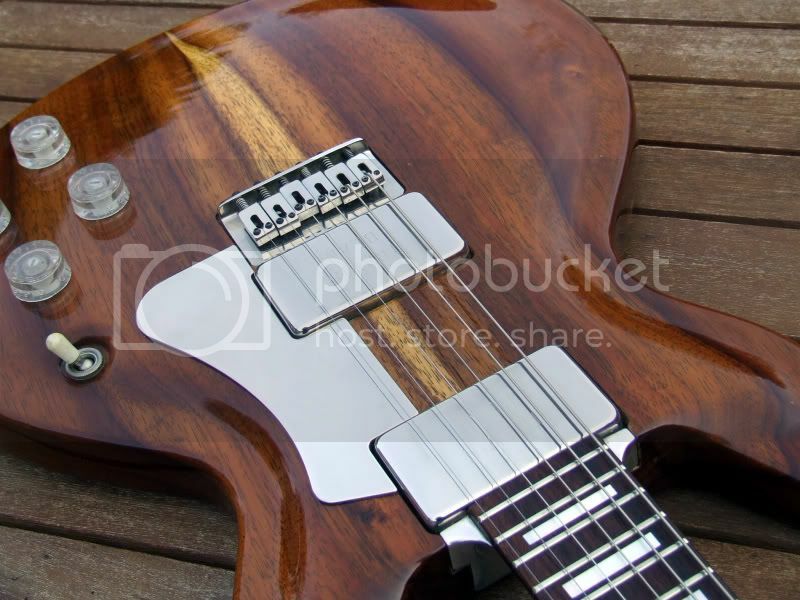 Right now, I'm doing one offs, but I have some ideas for a line of guitars. I'm not currently in a position to produce instruments like I'd like to, but hopefully soon, I will be able to. Here's my Travis Bean Standard. I bought it 1992 from the original owner who bought in Portland Ore in 1976. Its #547. 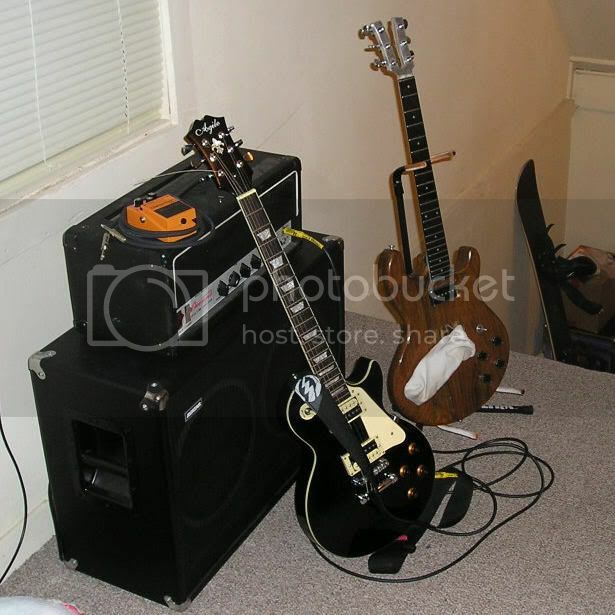 Its pictured with my RMI 368 electra-piano. it's an early 450g, I have p-94's in both neck, and bridge position. in this picture I have a sock over the bridge pickup because it wasn't wired, and I didn't want to scratch anything. although koa is pretty solid, I'd have to say I love koa. I'll post a review soon, oh, how do you view reviews? Yup.. that's a nice lookin' Kramer for sure. I'm a big fan of the Koa as well. On your review question, just click the link that says 'Read Review' below the submitter's name. Some of the Kramer models are still waiting for their first review, I wonder if that's why you're not able to read the reviews there. If you need to link to a review, click the 'Perma Link' and use that URL to post on forums or blogs, etc. If it's anything like my old 450G, the 1/8 thick poly finish is nearly indestructible! Oh yeah, it's a '70 Kramer 450B. The quads are two Sovtek 4 x 10's, and my old head, no wreplaced with a Peavey Mark IV. no edit function? it's '79 Kramer 450B, not '70. those electricals are very appealing. 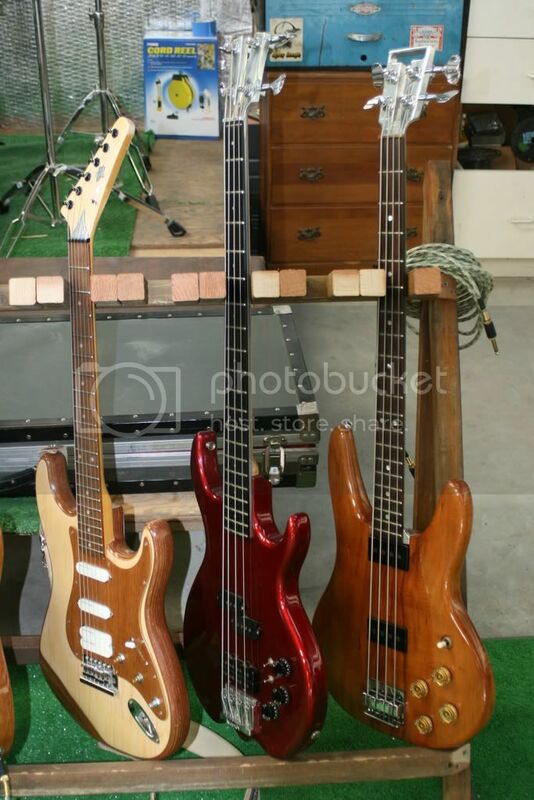 I hope they're affordable for awhile, because I'd love play one of those. the'yre all gorgeous looking, and start at 1400 stock. I actually dropped my kramer down two flights of stairs it managed to swing it's self around the corner and take the second down. nothing even happend cosmetically, it just went out of tune. it was probably just proving to me how badass it really was, and wanted to make sure I knew it. Here is a link to pics of my Bean, also a strat I did for fun. 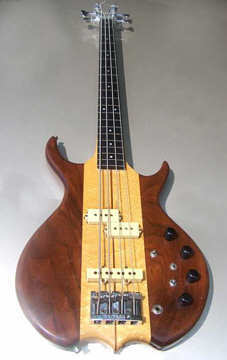 I need to add pics of my Kramer Stagemaster Bass. 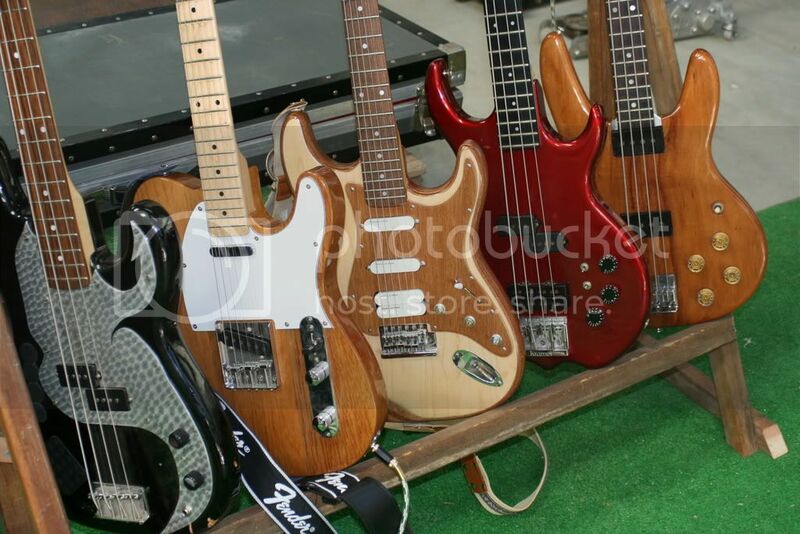 Here are the rest of the guitars in the stable. This is my custom LP made by Greg Bailey. 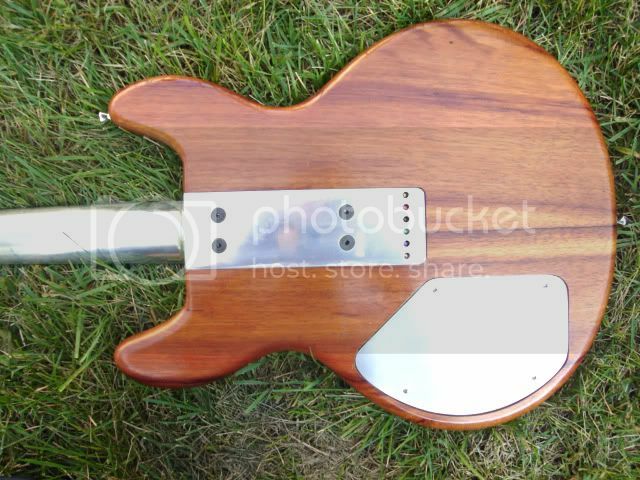 It is the first guitar I own having an aluminium neck. I bought all parts on ebay. 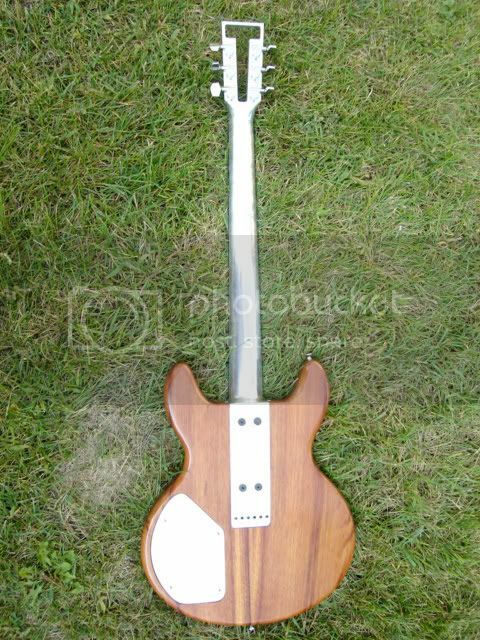 Greg made the neck for me and build it all together. This is my 450g. I recently bought it and I'm loving it. 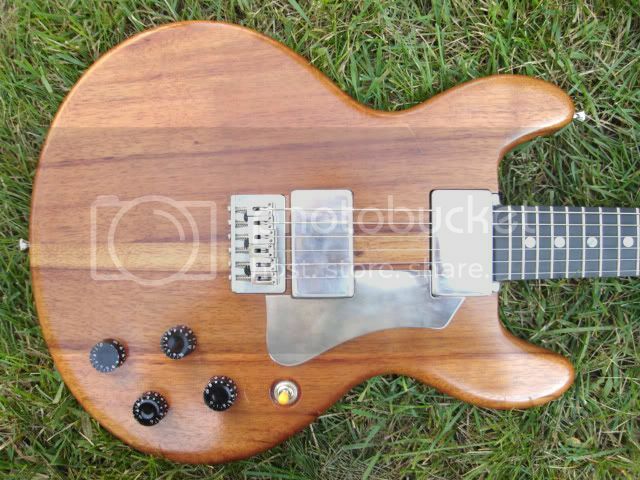 Also, I have never seen a 450g like this one, with the third pick-up and coil splits. Can anyone tell me some more about it? - heavy, but perfectly balanced "Tone Elitist"
When a violin maker held it, he frowned , stating his dissatisfaction with this elite tool's acoustic resonance. This pleased me a great deal. Wow Some activity on this nice site here is my latest in billet.